Most and familiar country that comes into the head of students and parents to study higher education in overseas is America, right? Now the trend has changed because of the few circumstances took placed at the time Trump elected as a President of USA. Recent data shows that International students eyeing on Canada universities, the highlighted part here even Americans are moving for education in Canada. Thousands of American students applicants are moving to Toronto. Apart from America the countries like India, Mexico, and Indonesia are intentionally choosing Canada, because of Trump restrictions on International Immigrants and presidency ruling. On the flip side, Canada is embracing more Immigrants into the country yet planning to welcome more foreigners with constant favorable immigration policies that improve the economic standards, to say the quality of education standards between U.S and Canada both have similar. 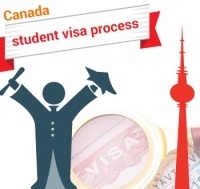 Canada is planning to make easier to the international students to study and working life once got completed with a degree.As well as International students pay three times more than Canadian student, this is one of the great sign of improving the infrastructure of educational institutions.